The landmarked interior of Gage & Tollner is in excellent condition, and would require minimal work to reopen. It was modernized in 2010 when it was opened as an Arby’s, and most of the restaurant infrastructure is still intact: extractor fans, gas and electrical service, sewage lines, a fully renovated basement prep space, HVAC ducting, employee bathrooms, a working dumbwaiter from the basement to the second floor, etc. 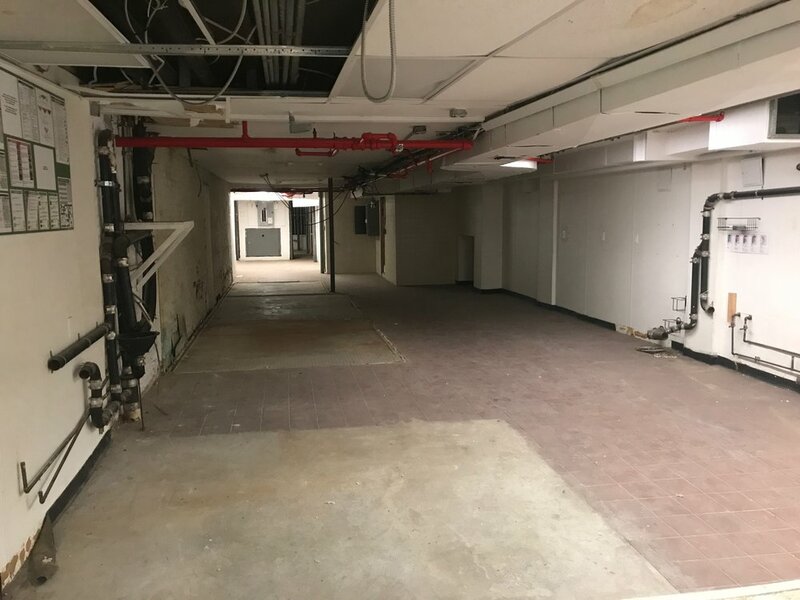 The second floor retains a little original charm but needs extensive remodeling; a good part of our construction budget will be focused here. Recent meetings with the Landmark Preservation Commission have been fruitful, and we believe that the LPC will be an effective and enthusiastic partner in this process. You can see from these photos just how well the space has been preserved. The photo below is probably from the late 40s/ early 50s — note the absence of both the marble-topped bar (installed in the 1990s) and the AC vents in the ceiling. The beautiful cherry millwork, the brass gaslamps, the plaster-like Lincrusta, even the tall coat hooks meant to accommodate the tall headgear of the Gilded Age — all remain today. The lower level is the biggest surprise of a tour of 374 Fulton. There's modern plumbing for prep sinks; heat and A/C; a clean dry utility room with neatly organized meters and panels (and 300 amps of power); two employee locker rooms and an employee bathroom; a dumbwaiter servicing the first and second floors; lots of space for cold and dry storage, a beef dry aging program, and a capacious wine cellar. The Dewey family converted the second floor apartment to private dining rooms sometime in the mid-20th century. Since then, the floor has seen many uses — it's been a hair and nail salon, a tattoo parlor, and heaven knows what else! 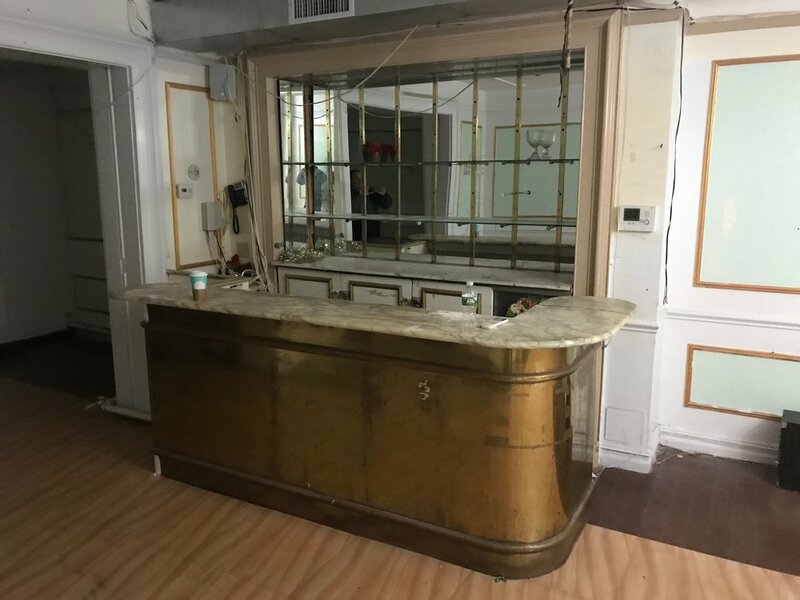 It needs a lot of work, but it still has some of the original charm, like this brass and marble bar. You can see the bar in the background on the right of the B&W photo above, taken in the 1970s.